Do you have more devices than electrical outlets? Does charging your gear at night an require rotating devices around the house wherever you have room to plug them in? If so, then we have just the thing for you. 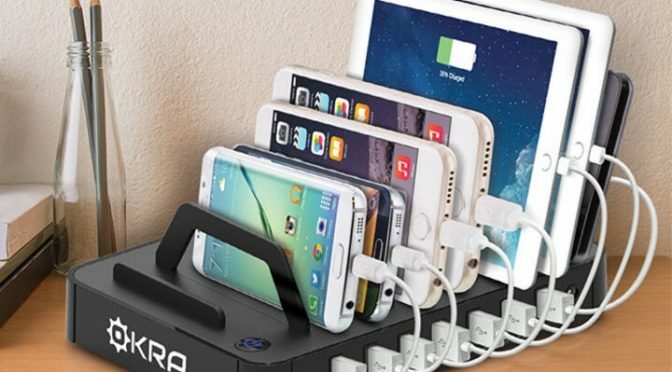 The Okra 7-Port USB Desktop Universal Charging Station solves two common issues for those of us with the problem of too many phones and tablets. First off, it helps you get 7 devices charged up simultaneously off of a single electrical outlet. Even better, it does this while also organizing your devices, as well. Can you imagine the clutter of charging seven iPhones and iPads in one spot? Well, with this charging station, you can make it happen with everything neat and organized. 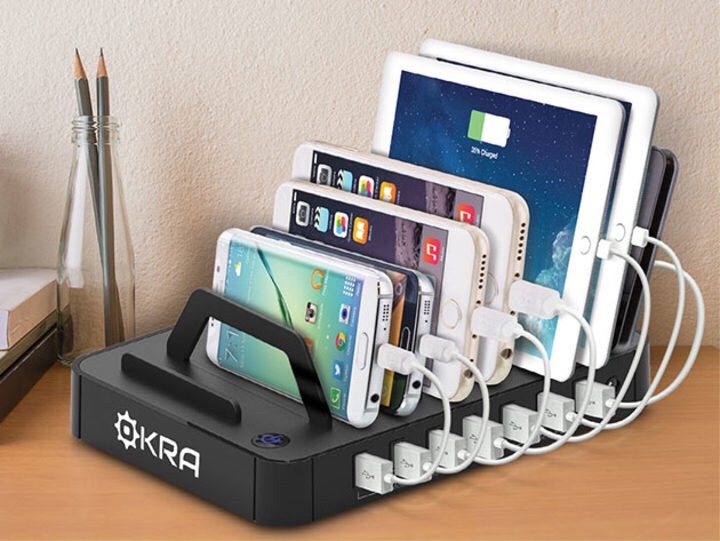 Our Deals site is offering the Okra 7-Port USB Desktop Universal Charging Station for $39.99. This is 60% off the normal retail price of #99.99.